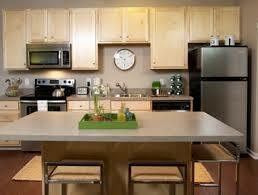 Our company is your trusted partner for various home appliance repair Los Angeles services. Located in Los Angeles, California, we offer same or next day assistance to local customers. Our staff is certified to work on nearly all types of major household appliances such as fridges, freezers,ranges, washers and dryers to name a few. Our vast experience in home appliance repair allows us to resolve any concern in a timely manner. So don’t hesitate and contact us whenever you need professional help! When it comes to residential appliance repair, we are the right people to call. Not only will we fix your unit but also give you useful tips on how to keep it in perfect shape for a longer time. With proper tools and genuine repair parts on hand, we can undertake any appliance repair service and complete it to your full satisfaction. Aside from repairs, our appliance technicians provide regular maintenance service to prolong the lifecycle of your kitchen and laundry equipment. By performing annual check-ups and necessary adjustments,we will help you improve the overall performance of your household appliances. In case you’ve purchased a new appliance or need to replace the current one, we are ready to do it for you! Our appliance service technicians will quickly fit your unit and double check it to make sure it runs the way it should. We can ensure that after our services you won’t face any issues related to incorrect installation. Whenever you call us for appliance service, you can rest assured knowing the job will be done right the first time. Be it a repair, replacement or maintenance, we will provide you with reasonable options according to your needs and budget. Whatever the problem is, we will make your Los Angeles home appliances repair as easy and stress-free as possible. Give us a call today and we will gladly assist with your appliance related needs. With Magic Appliance Repair Los Angeles, fast response time, convenient scheduling, competitive pricing, and perfect customer service is guaranteed!